Kevin and his wife, Amy, come to us after spending time in Michigan, Canada, Wisconsin, then back to Kalamazoo! They have three kiddos, Emily, Owen and Anna, and enjoy movie nights, camping and community theatre. Kevin has been on staff at established churches and led a church plant, The Garden, in Fond Du Lac, Wisconsin. 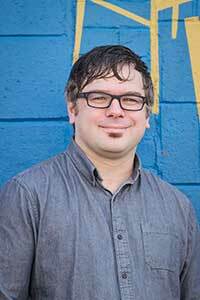 He is a graduate of Hope College, studied at Regent College and began a doctoral program at Northern Seminary on Missional Church Leadership. He’d love to hang out and play disc golf with you or join you for a caffeinated beverage – so hit him up!